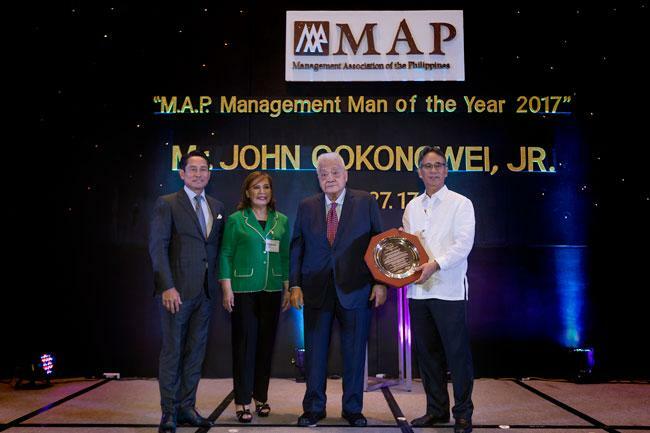 John Gokongwei, Jr. one of the Philippines’ top business leaders, has been selected by the Management Association of the Philippines (MAP) as Management Man of the Year 2017. He steered his company into remarkable growth “through his foresight and exceptional ability to launch new ventures and transform existing ones to better adapt to challenging times and an unpredictable future,” the group said. 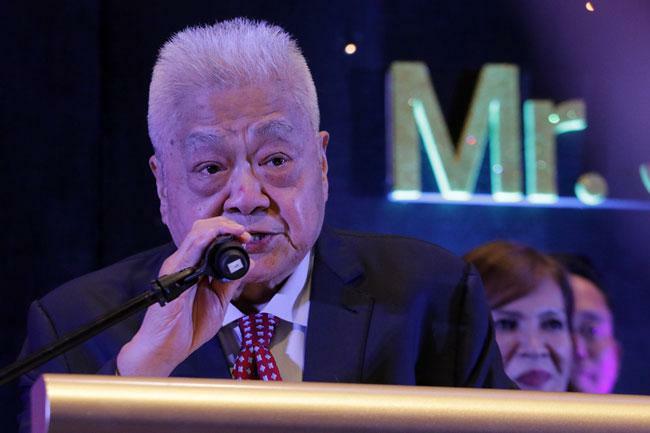 MAP also cited Gokongwei for his companies’ contributions to national development, job creation and income generation, through its investments in food manufacturing, real estate, air transportation, and a host of other sectors. He also contributed to “shaping national values and inspiring others by his outstanding achievements attained from humble beginnings through hard work, perseverance, frugality and discipline,” it added. Gokongwei built JGSHI, the Philippines’ second-largest family-run business, from a modest trading business he ran on a bicycle in his native Cebu, after his father died, during the Japanese occupation that began in 1942. As the war drew to a close, he broadened his inventory and used a sail-powered outrigger to trade goods in Manila and Lucena. By the time the Americans reclaimed control of the Philippines, he already had enough money to travel to the United States to buy used shoes, clothing, newspapers, and other secondhand goods that he would then sell at a small storefront he rented in Cebu. In 1954, with his trading business bogged down by import controls, Gokongwei branched out into cornstarch production. This was the start of Universal Robina Corporation (URC). That business quickly has grown into JGSHI, a vast conglomerate with interests in air transportation, telecommunications, banking, food, power, and property. Today, the combined market capitalization of JGSHI and Robinsons Retail Holdings, Inc. (RRHI), one of the country’s largest multi-format retail groups, is US$13.2 billion. Among past awardees are Washington SyCip, the founder of auditing giant SGV; the Ayala group’s Jaime Zobel de Ayala; real estate tycoon Henry Sy; construction magnate David Consunji; and Jollibee founder Tony Tan Caktiong.